But what is under this blue protective canvas, on the right, with this kind of clear circle on the floor ??? I'm not sure but I think it's one of the white pods that surrounds the stadium. Now the question is what are those white pods? ^^ Toilets of course! Although, I must say they look far better inside those blue tents. No toilets are all-around the stadium in its own structure. The Catering sheds are on the site of the cauldron? Still not much room - with all those cabins.......all to tight......?? There's loads of room between those concession stands for a slender cauldron. And it still fits with the original planning permission too. Nice picture, where did you get it from btw? Daily Mail - the blue box is site of Cauldron?? According to the render showing the catering pod layout, there's going to be anoher pod where the blue thing is. I don't believe in a cauldron at that location anymore. 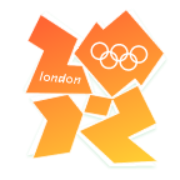 The cauldron has to have a certain height for the flame to be clearly seen also from within the stadium. Torino's cauldron was 57 metres high, I think that London's cauldron would be at the same height, if not even taller. You can't design a tower of that height too slender -- it has to have some stability and therefore a solid base. And I just don't see where they want to squeeze in such a cauldron between those pods. Let's not forget that they will certainly have to keep some safety distance because of fire precautions. And call me old-fashioned -- but I think a spot between hotdog stands and toilet pods is a very awkward location for an Olympic cauldron. I have never been so clueless where the cauldron would finally be. There's still time left for them to keep it secret, but in May at the latest they should definitely start the construction -- if it's a tall tower. I don't believe in a cauldron at that location anymore. 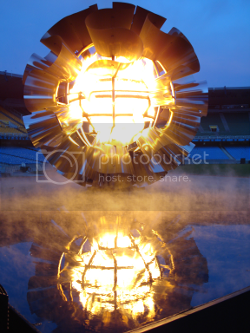 The cauldron has to have a certain height for the flame to be clearly seen also from within the stadium. Torino's cauldron was 57 metres high, I think that London's cauldron would be at the same height, if not even taller. You can't design a tower of that height too slender -- it has to have some stability and therefore a solid base. And I just don't see where they want to squeeze in such a cauldron between those pods. Let's not forget that they will certainly have to keep some safety distance because of fire precautions. And call me old-fashioned -- but I think a spot between hotdog stands and toilet pods is a very awkward location for an Olympic cauldron. I have never been so clueless where the cauldron would finally be. There's still time left for them to keep it secret, but in May at the latest they should definitely start the construction -- if it's a tall tower. Agree, gotta remember they gave the design job to someone pretty well known with a good track record, it's probably going to have some kind of sculptural form element to it. It's not going to be a dish on a tall stick, which is probably the only thing that would suit being jammed in between maccas and a piecart. Could be anywhere. I would personally love another Games where the cauldron was integral to the stadium, even hidden somehow, but I don't like the chances of that happening here. I totally agree. It just does not seem feasible now that a cauldron tower to be located at anywhere outside the stadium. All the main visible area are already taken up by the pods, and construction of a tower structure should have start by now. And don't forget the cauldron designer is Thomas Heatherwick. Judging by his designs eg. rolling bridge, my gut feeling tells me the cauldron will be something mechanical, mobile, transformative and probably quite small. It might be an integral prop/ part of the staging throughout the opening ceremony. No one would suspect anything until the last moment when it transform into the cauldron. And it will be a relatively small cauldron compared to previous Games, placed inside the stadium as a sculptural piece. Somewhere on the edge of the playing field or a platform at mid-tier level. By the way, what are those series of white boxes perched along the roof's inner edge? They seem to be covered by some white canvas. Hasn't the flame got to be seen across the park though? Not sure though, is that a requirement? That was a requirement in an old version of the Olympic Charter. Baron usually refers to this, pointing out that the Olympic Flame has to be seen from within the stadium as well as from outside the stadium. And that could still be the case -- even if the IOC doesn't require it anymore -- if the cauldron sat somewhere on the roof. Problem here is probably that the cauldron can't get too heavy because the roof doesn't look like it can carry very heavy structures, in addition to the floodlights. But I still think a cauldron on the roof is more probable because I just can't imagine Heatherwick desigining a cauldron that sits only at the edge of the infield and is visible only to the stadium audience. The other probable scenario, in my view, is a cauldron tower at a different location in the Olympic Park, of course in the vicinity of the stadium. But, as I said: If they still want to build a tower, we should see the first signs very soon -- at the latest in May. One thing I am concerned about the idea of having the cauldron on the roof is the fact that the roof is quite crowded already with all the triangular lighting frames and structure. It is unlike Beijing's stadium roof where it is smooth and clean which made it ideal to have the cauldron perched on top as the only object visible on it. 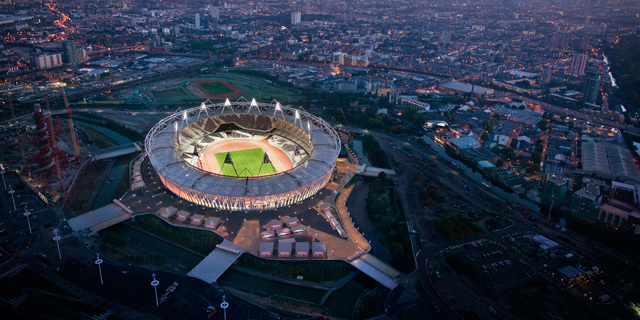 In London's stadium, the cauldron might not be that visible and lost in the jungle of roof structure, especially the outer rim structure almost providing a curtain effect to the inner rim. Of course this is only a problem if visibility from the outside the stadium is equally important, I am sure views from inside the stadium is not a problem. Very well observed, I hadn't thought about that. Now I'm even more clueless where the cauldron will be. I have to say, though, that a cauldron tower in Olympic Park is also a bit of wishful thinking on my part. 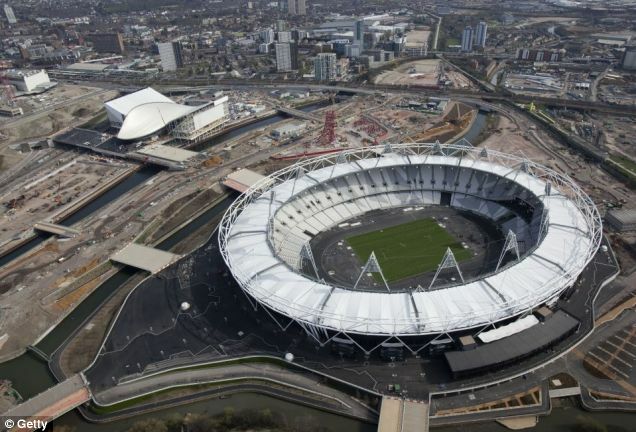 It's because I'm planning a trip to London during the Paralympics and it would be great to take a picture of the cauldron even without having a ticket for the Olympic Stadium. In addition to your posting, kevzz: Also from within the stadium, the Olympic Flame would be only partially visible if it sat on the roof. It's because the bright floodlights would distract from it, especially during nighttime -- but also during daytime, because the floodlights will probably be switched on also then to provide the best possible light conditions and to prevent shadows for the TV broadcast. They also did this during the 2006 World Cup in Germany. I just think its a pity with such a great park and so many venues actually in it, I think its an opportunity missed if only people in the stadium can see it. That's a good point. Will they want the cauldron to be competing with so many floodlights and structure from the inside then? From a pure design point of view, london's stadium roof is not really made for a roof cauldron. Best bet is still within the seating tier, edge of field, or outside the stadium as standalone structure. I am still sceptical about a standalone structure though, a cauldron tower of considerable size is not going to be easy to construct without being know. I still have hope for the cauldron to be on top of the Orbit! If a standalone structure that can be constructed instantly, mobile and moved into position right after the lighting ceremony, it could be the size of the Sydney 2000 legacy cauldron placed permanently at the Olympic Park now. That kind of height (around 10-15m) and size is the only feasible standalone scale to me. Well actually, as you can see here, the Bird's Nest's floodlights were actually on the rim of the roof. They were just covered during the opening ceremony where theatrical staging lights were used instead. But your point remains nonetheless. If I remember correctly, Beijing's massive and technically intricate (it moved into it's final position during the Parade of Nations while no one was looking up at the roof--brilliant!) cauldron didn't begin to be constructed until around May or June. So if London designed its stadium's roof with a cauldron on top of it in mind, we may start to see activity up there in a month or two. But who knows really--the cauldron could be rather simple and light weight and take nothing more than two weeks in the summer to put up. My bet is on some sort of tower outside the stadium, nothing too intricate or complicated to install. Tall and simple. I remember beijings cauldron was somehow accurately spotted hidden on the roof well before the ceremony. Can someone remind me how successful Sydney and Athens was in keeping their cauldron a secret till the very moment itself? I would imagine Sydney's was the most hidden as there's no way anyone can see where it was since it literally was hidden under the floor!